What does it promise? Three limited edition hand nail treatment creams that employ the cult favourite formula with added subtle fragrances such as sweet orange leaf, white tea leaf and fig leaf. Does it deliver? 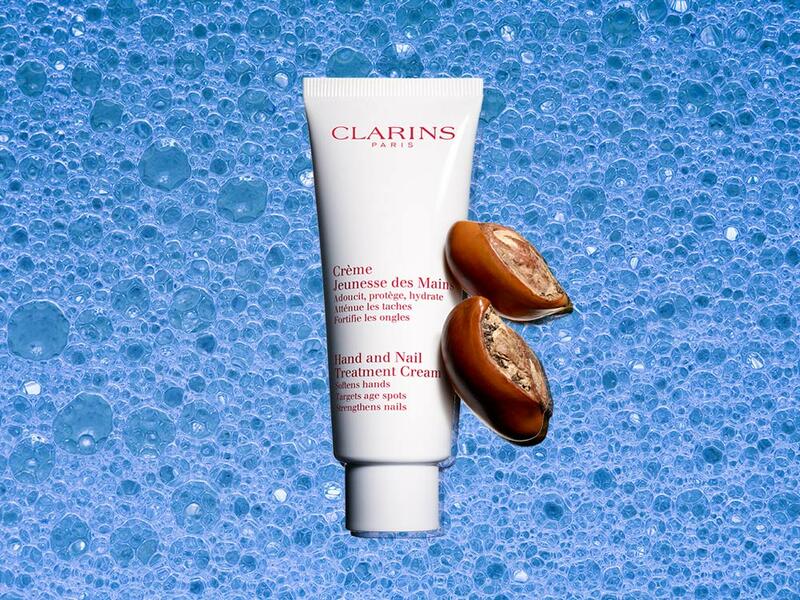 If you’ve ever used Clarins Hand and Nail Treatment, you’ll know just how superior this product is. If you ‘haven’t, you’re in for a treat. It’s rich (contains Sesame Oil and fortifying Japanese Mulberry) but also sinks in easily, so you don’t end up with greasy, slippery hands. And if you have annoying cracked skin or rough skin around your nails, this works like magic over time. You’ll notice that your nails get stronger and longer and your hands feel softer after regular use. The fragrances are simply a bonus and they smell so good you’ll want them all. Try the orange leaf for when you need to feel a bit relaxed, the white tea leaf when you need a bit of a freshen up and the fig leaf if you want to be surrounded by a smell that’s capable of transporting you away from your desk to the mediterranean. Check out our sister site Powder to find more beauty recommendations!